It works simultaneously with the NT115-A Nano Handpiece and the AN115 Steady Nano Tweezers. 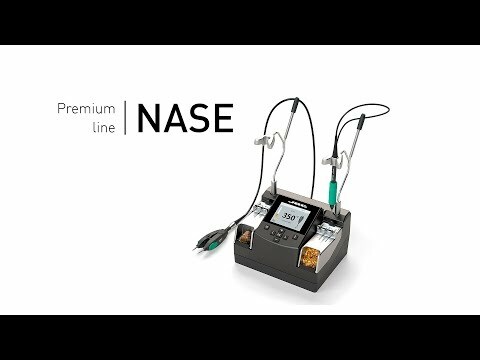 The NASE-C comes with the new Temperature Dynamic Profiles functionality. The use of these profiles allows you to control the temperature of the component during all the phases of the soldering process, emulating the heating process in a reflow oven. *FREE next day delivery on orders over £100. For more information on returns Click here.